This thread will be used to discuss everything going on in and around the peloton in Road To Glory. I will start off by posting team details. Feel free to start discussing about the make-up of the teams, their focus and which ones catch your fancy. Once the rider creation process is complete for the season, I will put up rider details in this thread too. You can also use this thread to post about and from the perspective of your riders. Let everyone know how his recent race went, what he's thinking and what his dreams are. Also feel free to spark some rivalries in the peloton. But always remember, keep it clean! When the racing starts, use this thread to discuss about the races that are taking place in the cycling world. Daniel Clark didn't start out wishing to be a bicycle racer. His love was for football (the real kind, not the American version). His childhood in Michigan was spent chasing a ball rather than riding a bike. However, a series of concussions cut short his ability to play football...and he was soon on his bike looking to expend the excess energy of youth in a less dangerous way. The first amateur clubs wanted to help Clark become a great climber, seeing his light frame ideally suited him to that role. However, Clark had no interest in a style of racing he called 'boring'. His heart was set on the purest form of bike racing...the classic. Where savvy and race experience count for just as much as pure physical power. Clark therefore set about improving his attack and short climbing skills, working on his sprinting, and trying desperately to train for the pain of the cobbles. His environment in Michigan provided plenty of opportunity to work on bumpy terrain...but the gravel roads are no substitute for the pave. Optimistically looking to the future, Clark hopes his quick acceleration, light frame, and ability to enjoy pain and suffering will serve him well in the professional peloton. The future awaits...and for now, Clark is dreaming big. Early Steps: Jhon was born in a rather small family in Gualacea at the 20th of April 19 years ago. Together with one older brother he was sharing the full attention of his family. Already in his young age he had the privilege of having a TV at home, where he followed the big names of Ecuadorian Sports: Of course Carlos Tenorio was one of his early heroes, as he not only was part of the first Ecuadorian WC team ever in 2002, he also was the main man when the team promoted to the Round of 16 at the WC in Germany in 2006. But it wasn't all about football. When Jhon was that kid that was all about sports, the big hero of the country was world champion and olympics silver medal winner Jefferson Pérez. While Athletics caught the interest of Jhon more and more, it wasn't really about walking or running. He was more and more attracted to the popular sportsmen from Colombia or Venezuela, when the likes of Rujano, Pena, Serpa and Laverde conquered the world, especially at the Giro. But it would be other shining stars that really brought him into cycling. Cycling Path: Soon the young gun started to take his own first footsteps. He had a bike pretty early, as distances were quite long and parents were hard working. The downside of this was having to be quite self-serving pretty early in his life, the upside though was that his family could finance him a quite decent bike even for european standards. And he absolutely fell in love with it. By that time it was pretty sure though that he'd join a cycling club pretty soon. And he did so. Though, as you might have guessed, not everything ran in line with the expected of course. We're not talking about a road bike, we are talking about a proper cool mountainbike. And with that he could step into the paths of his real hero: Emilio Falla. Soon he was riding competitions, having the full support of his family. And he was damn good. On national level he was quite good at first, but with his determination and a great trainer he became a world apart from the regional and even national competition in his age. Even his role model, Falla, shouted out his name on the nation bmx championships in Quito in 2013, where young Garcia won the U18! competition. But by that time another shift happened. Falla wasn't as successful as he used to be anymore, the big names from South America were the Brazilian Renato Rezende or the Colombians with Carlos Oquendo and Carlos Ramirez. Even on his young age he was the #3 in Ecuador behind Alfredo Campo and Emilio Falla already. That was when he got the opportunity to broaden his horizon. A certain Movistar Team had started a developmental program in Ecuador. Colombia hat these youth development structures for long, and with the rise of the youngsters like Rigoberto Uran, Sergio Henao, Carlos Betancur and Fabio Duarte they were lightyears away from the rest. However, also in Ecuador something started to form, and the Team Ecuador was built. This team, led by Byrom Guama at that point, built some structures to capture talent. While this didn't work out too good in the beginnings, the project had some success over the next months. And one of the first prospects in this project was Jhon. He was offered a development contract with the development team of the project which slowly turned into the Movistar Team Ecuador. And with it he had the opportunity to ride his first UCI level races. The Vuelta Kolbi or the Vuelta Dominica were one of his first races on the proper road cylcing world. Not forgetting his roots however, as he still appeared to win the junior BMX championships with ease and even got some footsteps into cyclocrossing, which was part of the developmental contract he signed. It didn't take long until he first rode the Vuelta al Ecuador, eventhough the race these days only had an amateur character. Still, Jhon had some success, especially finishing 3rd from a breakaway on one of the late stages. This may have been the last convincing move to become finally part of the Movistar Team Ecuador, just at the age of 17! Together with the likes of Jefferson Cepeda, Santiago Montenegro and Wilson Haro , all only 1-3 years older, he rode a very nice calendar. Also, he got invited for Nations Cup races with Ecuador for the first time. While he had a nice calendar with Team Ecuador, racing in Guatemala, Argentina, Colombia, Ecuador, Brazil, the Dominican Republic and even the USA, racing the nations cup was on another level. From the whole Ecuadorian squad there was one guy that stood a chance: Jonathan Narvaez. The others, including Jhon, flew off the back so fast you couldn't even tell. Especially on the flat races. Jhon just wasn't used to racing that hard all the time, and not just at the end of the race or a climb. But he tried to adapt the european mentality in a way only Narvaez could do so far. He heard of many Ecuadorians - well, even more Colombians but also many of his teammates or former ones - that tried to do so in the past. But most of them failed. There was one Ecuadorian that made it over: Richard Carapaz. He achieved the dream of becoming a professional cyclist in road racing. And after the season there were good news for Narvaez too. After signing a contract with Axeon, rumour had him in lines with a potential QuickStep engagement already. That left Jhon with a certain decision to make: He now was at Team Ecuador, but that wouldn't earn him the money he needs in his life. Should he follow the path? Or was it time to jump over the sea to Europe? Yeah sure, there was also the chance of riding professionally in Colombia. But would they want an Ecuadorian with their number of strong youngsters? Thinking about being just a 19 year old guy he postponed the decision. After finishing his season with Team Ecuador he turned his attraction a little bit more on BMX riding. He still got it in him, so he gave it a go at U23 races and even starting in the Copa Latinoamericana in Bolivia. Also finishing 2nd at both Sierra Centro and Orient - Amzonico behind Campo and another 6th place in San Jose at the Copa de Naciones Costa Rica made him gain some serious reputation in the BMX world, as that meant that Jhon would climb in the Top 50 of the BMX world standings at the age of 19. Gaining in confidence step by step made him looking into the future a lot more comfortable. Training for the next season together with Byrom Guama and Jonathan Klever Caicedo determined his preperation. Secretly always waiting for the right phone call - of yourse he wouldn't hire an agent and do it himself - Jhon had planned to ride for Movistar Team Ecuador, eventhough there had been interest from Medellin - Inder, Team Bolivia and EPM-UNE. Even a Belgian cyclocross-team, we are not allowed to call their name here, invited him to join a young riders program with chances on the Belgian amateuir circuit on the road and on the dirt. But then there was the one option that turned everything around. Austrian equipe MyBike-Stevens had offered a developmental contract, which was similar to the cyclocross one, but actually on UCI level on both ends. Personality: Calm, and always well prepared. Jhon is that acribic worker that tries to find the perfect race scenario right before the race already. Has some issues with adapting to surprising race situations. Loves the tropical whether. Loves dirt. Get's bored when a race is too flat for too long. Absolutely open to take planned risks. Sunnyboy on the outside, not so on the inside. Not the best out of rest days. Doesn't like quick changes of flat and mountain stages. Loves difficult profiles, where the race is hard to predict. Trash Talker. 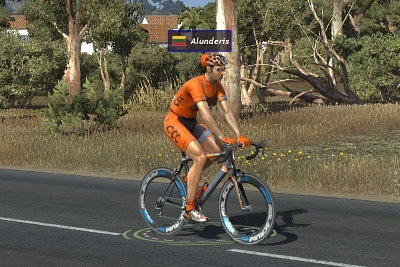 Cycling character: Jhon is a pretty lightweight climber. When the road kicks up, it's the steeper the better. Unrythmic climbs, rough punches, steep ramps. Give him that and you make him feel comfortable. He's never sat on a time trial bike. His acceleration is very quick, though he is yet to have a proper sprint on board. There are a lot of questions raised on his recovery and stamina. But coming from the BMX background he knows how to sustain an effort quite well, especially with changing pace all the time. Also, for a South American he is a straight out awesome descender and technique expert. On the flat roads he has to work on his engine, though the potential should be there. Favourite Teams/Riders/Races: Movistar Team Ecuador. Several riders that determined his youth, f.e. the likes of Uran and Henao. Androni-Giocattoli with all there young south Americans. Narvaez, Klever, Carapaz. Joaquin Rodriguez. Jose Rujano. The Giro is the big race for him. Otherwise it's about the Vuelta of course. But a huge priority are the home races in South America. His dream is having a GT finishing in Ecuador, either a new South American one or even the Giro/Vuelta. Zdenek Stybar. Emilio Falla. The BMX Worldcupraces in South America. Caja Rural. Rivals/No Gos: Young Colombians. The arrogant Belgian cyclocross youth. Time Trials. Echolons. Wout van Aert. The overrate borefest which is the Tour de France. Vegans. Former Dopers. People that do high-altitude training camps in Ecuador but can't ride a bike properly. Elbows. The rotten apples. Hector César Ernesto FERNÁNDES HERNÁNDES was born in Cali, Colombia on 14 may 1998. He was seen as a gifted cyclist early on, doing tricks on his bike that few adults could match. His parents pushed him to become a professional cyclist, and Hector liked cycling so he didn't mind. At first, it was hard for him to specialise, he won all local races whether they were flat, uphill or even offroad. The only thing he didn't like were time trials, as he couldn't motivate himself to ride without competition. He loved cyclocross and mountainbike, but his parents wanted his to pursue a road career, as he would get more money that way. They also discouraged him from riding on the cobbles, as no sane person would ever organise a race on cobblestones. With parts of his passion repressed, he joined his first junior team. They turned him into a puncheur as he could ride the bike uphill fast and had a good acceleration. And of course because all of Colombia was mountains and hills. Having won even more races, Hector was offered many professional contracts, but he had one team that stood out. Learning from another allrounder Boasson Hagen, becoming a part of the legendary Mark Cavedish' sprint train, and most importantly, no real puncheur leader. He had a chance to grow in the ranks and maybe one day realise the secret dream no one but him knew about: becoming the first Colombian to win Paris-Roubaix. Born in Corvara, in the Alta Badia region of South Tyrol, Mattia had since he was little a bug for cycling. In 2010 for the first time he saw the whole Giro on TV, and as he witnessed Ivan Basso win after three caothic weeks he gained a big passion for bike racing. Shortly after he got his first bike, a cheap mountain bike wich he used to go to school and as a way of having fun and distracting himself from the stresses in life. His family couldn't afford much and he learned to be responsible for it and took great care of all his cycling gear. He never was a very social kid, he valued his alone time more than hanging out with his friends, and so riding his bike was something he increasingly valued more over time. Some years later his dad got a bike too, much to the request of Mattia, as he wanted to explore the local roads, that included some of the mythical Giro passes, including the Valparola, Gardena and Campalongo. Over the years he withnessed on the road some iconic moments of the Giro, something he worshiped by then, the Purito win in Cortina d'Ampezzo, 2012, Nibali winning atop Tre Cime di Lavaredo, 2013, and so when he finally could ride far from home, he made sure he trained hard so in May he could always ride to see the pros in action. When he was 15 he got his first road bike, and soon enough he joined a cycling club, which although was far from home, it would allow him to participate in some races of his categorie on the weekend. Usually long trips were involved, with very few races in the Alps he had to go near the Adriatic sea, where all races were flat or hilly. He evidently struggled in them, always hanging out the back, but he always fought for the best result he could. He even tried Mountain bike but his results weren't motivating at all, wich was starting to take a psychological toll on his will of racing. In 2016, after a brutal stage of the Giro, that finished right in his home town of Corvara, he saw Chaves take the win and Kruiswijk moving into pink. And just days after, after some years watching it on the road, he decided to sign for the Maratona dles Dolomites, a mythical Grandfondo that takes place in the Dolomites and has several of the Giro's most famous climbs. And that race was something that changed his life.. Riding a cheap aluminium Merida, he found himself in the end of 140Km in the high mountains finishing in the Top50, winning in his category. That came as an absolute shock and regional cycling teams soon found themselves contacting him quickly. He was signed by a local team, which, from July to October, allowed him to show in his newly-discovered talent, alongside providing him with the right gear for professional racing. In that period of time, he raced 3 one-day races in the mountains, where he came in Top5 in all, a 3-day stage race, where after a strong time-trial and ride in the mountains, a crash on the final day derailed his chances of finishing in the podium, and 2 Grandfondos in the Alps, where he came 4th in one of them. After this amazing display of talent, he has been contacted by some pro teams, and during the off-season he will decide where he will race in 2017. He is a diamond in the rough, nobody knows what potential he may have. He says it himself, he will win the Giro one day, but while many take it as a kid's dream, some see it as a possibility and are willing to take a risk. With so much yet to learn and master, like positioning in the pack, recovery methods, the right nutrition, TT-position work, etc, there is no telling how far Mattia can go, his Italian cycling blood will be an indication of what he is willing to do. A natural stage-racer, his recovery abilities haven’t yet been shown, but he’s a very strong rider in long climbs, and is at ease with multiple mountain-stages. A good time-trialist too, but struggles a bit more on prologues. He is clearly a very consistent rider, capable of flying through mountains again and again, but when it comes to explosive and unpredictable racing he still neads to learn a lot. He’s also a good descender which adds to his set of skills to take on week-long races and Grand Tours. Brad was born in Pennsylvania where he spent a majority of his time growing up running and playing basketball. One day at the post office he saw an ad about Lance Armstrong, and started to slowly gain interest in cycling. He grew up watching Lance Armstrong compete day in and day out, and it gave Brad the hope that one day he could be a famous USA cyclist. Since Brad only ever watched the GT's (that was all that was on TV), that was the only style that he knew of. He wanted to be a stage racer that could excel on the climbs. He registered into a local race called the "Tour de Toona" and was the youngest competitor to ever make the podium. Shortly after the race he was finally signed to an amateur club in PA where he began training. His squad saw the potential he had with climbing, as he had been a runner for years and had developed very strong legs. He definitely did not have the speed to win any serious flat stages or TT's, but that never bothered him. Halfway into his first season, he finally won his first ever stage race. A 5 stage race in PA & OH that saw stages 3 & 4 focused on mountains, but surely nothing near what he hoped was coming one day overseas. Brad is ready to move on from his amateur squad, and with the help of his team and possible connections, has been contacted by a few teams that could give him the potential to accomplish his life long goals that all started from a post office banner. Thomas grew up in Saint-Jean-de-Luz. Part of the Pyrenees-Atlantiques deparment, for Thomas and his family they identify more as Basque, with Saint-Jean-de-Luz also falling in the Labourd Basque area. Every summer for as long as he can remember, Thomas and his family would head inland in July to watch as the Tour assulted the Pyrenees. And then in late August/early September they would head across to Spain for the Vuelta. His father was a bicycle mechanic, owning his own shop in town, whilst his mother would sell bikes and parts from the same shop. Safe to say, he never had much career choice! Cycling was deep in his DNA and by the time he was 10 rides out into the mountains were common, and he'd already clocked up serious miles in the foothills at the north of the range, plus he'd tackled the route of San Sebastian several times. This passion grew and grew, the rides becoming long and harder. By 15 he'd go on multi-day raids into the heart of the mountains with local clubs, and he could comfortably say he'd ridden all the major Pyreneean climbs 7 or 8 times. At 16, with his major exams done for the year, he went on a trip with club mates all the way from Saint-Jean-de-Luz to Perpignan via Andorra. This was a massive ride tackling a dozen major climbs over three or four days. Tracking his trip on Instagram and Strava something wonderful happened. His times and endeavour was noted by some coaches and he finished the summer with offers of support to start bike racing. Needless to say, if the race went uphill, Thomas would be at the sharp end! Now turning 19 he's taking the step to the pro ranks. It could have happened sooner, but smartly Thomas waited to complete his schooling first. Very few, if any, neo-pros will have as much climbing experience or distance in them when they sign on the dotted line. The question facing Thomas now is this, can he turn the passion and experience into results? Can he become the next French Tour winner? Climbing! When you've been up the Tourmalet 15 or 20 times before you're 19, climbing is just normal to you. Descending! What goes up, must come down... and insansely fast! Handling! Lots of downhill hairpins give you a smart and natural bike control! Breaking away! When you're regular ride is 200km long over multiple climbs, you get used to going alone and from distance! Time Trial! It's just not something Thomas does at all! Cobbles! There's a few streets around with cobbles sure, but they don't compare at all the the classics! At a young age, Jørgen was an aspirering football player. Making all state three years in a row and being the midfielder of any coachs dream. But, during a regular season game while 14 years old, he got tackled in knee height. Blowing out his knee and ending his season early. During recovery, his physican recommended swimming and cycling as a road to recovery. During his sessions on the bike, Jørgen fell in love with the art of cycling. And later that year, he entered a local club and basicly ending his hopes and dreams of playing for Manchester United on Old Trafford. To winning the Tour de France overal. However, after several years of competing on the bike. He came to the realisasion that his specialty was on the tougher and more technical roads rather then long high gradient climbs. A new classic rider has been born. Wesley 'Winner' Jensen is a beast on any flat terrain, tarmac, cobble or gravel or velo boards!. The young american has been successful in the velodrome in a junior developing a strong time trial and a deadly prologue. His climbing of even the small hills might need a lot of work and/or substances. Alexander "Foppa" Forsberg was born on the country side in Småland, Sweden. As most Swedish children he liked to play football, outside the big cities their actually was not much other sports to choose. He had couple of kms to the training ground and when he got older he was allowed to ride his bike instead of his parents taking him by car. The first kms was a quite bad gravel road where he fast learnt how to handle the bike well and the last kms was asphalt road. Right after that last corner he always got of the saddle standing up and sprinting as fast as he could. He was already a bit tired even before the football training started. That was the story about how "Foppa" fell in love with cycling, soon after this he started watching Cycling on TV and immediately found his Idol,Thor Hushovd. A strong sprinter who can ride well on those cobbles that looks a little bit like his gravel road home in Småland. Alunderis turned up out of nowhere for last year's everyman race of the Öztaler 5500, where he soon left everybody behind and and won by over 25 minutes with an estimated power output that caught the interest of professional teams. At the press conference he claimed it's due to his all-meat-diet. He would not disclose any further details about himself or his past, but there seemed to be no motor hidden in the bike and he passed a doping test without raising any red flags. From the desert city of Ouarzazate comes Morocco’s possible first three week stage prospect. Known for its cinema studios, Ouarzazate is about to contribute with another star and Hollywood-esque story, although off frame. Pedalling from an early age, he started riding in the twisty turns of the Atlas Mountains, training almost everyday on Africa’s longest summit range. At 15, he started winning several local races, including one at the top of the Col du Tichka. Abdessabour caught eye of several top cycling teams, including the obvious MTN-Qhubeka, now Dimension Data, interested in attaining one of Africa’s biggest prospects in years. Talks did start and the team even lent some bikes and an opportunity to travel to Europe so that young Elias could have better training conditions. Still living in Morocco, and after some months in Europe where he kept showing his potential, it’s time for the star in the Moroccan flag to fulfill his dream and write history for the Northern African country. Will it be with Dimension Data or Sky? We’ll soon find out. Riding in the fields of Flanders, there was little else that Arnout wanted to do in life than to become a cycling legend. Filled with the legends of Johan Museeuw and Peter van Petegem, AVA was a huge supporter of Mapei and Lotto-Domo in the past alike. But the sentiments of his father - an ex-doper fallen from grace in the belgian public - and family were much more anxious. Having seen what professional cycling does to you and how it may ruin in the long-haul, his father preferred that Arnout focuses on his school success and follow a more traditional career trajectory. In the junior races, Arnout was one of the also-rans in his beginning until he got a late spurt in growth and put on some additional muscle mass. This gave him an edge in the wind and turned him into a work-horse for the peloton. He developed the strength to split the bunch in the flat but was first reluctant to channel the same tactic in the hills. Over time, as the distance of the junior races became longer, he became a dominat figure of the junior races, usually dueling it out with the same five faces all year. He relied on his strength in the Bergs but was a quick learner when it came to the finesse of tactical games and grand strategies within a race. Some would call it wheel-sucking but the belgian junior scene is an unforgiving one where only victory counts, where is no margin of error. At least, Arnout was well equipped in playing this game in all his forms and had the lungs to go the whole distance. Still, this was just a beginning and there was a lot to learn on and off the pavé. Now that Arnout has finally finished school, he and his parents made an arrangement: He gets one year, perhaps two years, to see how it is for him. Clearly remembering the words of his father, Arnout was hasty to employ his father as his agent as well. But something in his father wanted to return to the world of cycling as well. He was concsious of what this implied but Arnout didn't want to break his father's heart for his love to cycling. Currently Arnout is one of the young belgian hopefuls. Having experience in junior races and cyclo-cross as well, Arnout aims for the smaller classics and wants to see where his strenghts are. While Ronde and Roubaix are mostly the stuff of his dreams, he hopes that smaller flanders and ardennes classics won't be out of reach for too long, and has taken interest in the career path of olympic champion Greg Van Avermaet and former World Champion Philippe Gilbert. Arnout speaks flemish dutch, french and english. Akos is coming from the track and was able to win several medals in track worldcups in Omnium. Last season he signed up for the hungarian amateur team Köbanya to improve his road skills. It became very quickly obvious that he's too good for this level, winning a large numbers of amateur and UCI X.2 races in Eastern-Europe. Now he is looking forward to sign up for a bigger team. His biggest strength is not his top speed at all, he's more a sprinter who is able to beat everyone after one or two serious hills. Also he is able to survive climbs which are medium long fairly well. In bigger bunch sprints against the big names he could struggle, being a relatively light sprinter. People say that there's no poverty in Dubai, one of the richest cities in the world. Irfan is surely exemplary to that. Despite growing up in a middle class family, he never lacked anything in his life. Whereas most people in the country would pick different careers, Irfan decided to start riding his bike when in early high school. The city of Dubai's surroundings were flat and soon became boring, especially after Irfan started watching the major cycling races. After obtaining a scholarship to go to Maastricht for a year, he found himself back on the bike, but this time in the hilly surroundings of Maastricht. After riding good results in the hilly races in Limburg and the Ardennes, he decided to focus fully on cycling. With financial support from his parents, he got to stay in Maastricht for a longer period. Soon he got to ride races all over Europe. With his incredible punch and explosiveness he found himself in front at every race which went uphill. The higher mountains were more challenging, but based on his talent he could still obtain fairly good results there. Irfan's dream is to once win the Ardennes triple. His time in Maastricht showed the incredible passion for cycling in the Benelux, and to win in such an environment is an incredible motivation. In a perfect scenario, this triple would happen while riding for UAE-Emirates, to make his home team and country proud and to put Arab cycling on the map for good. Other goals are winning the Abu Dhabi and Dubai Tour, winning San Remo and Lombardia and winning stages in Grand Tours. For now, the first step of Irfan is to get a pro contract and develop to a rider who can handle leadership in these races. Once this happens, it's already a dream come true, though with his ambitious character he'll always strive for more. Well before Cancellara, Kwiatkowski and Stybar made the rolling white roads of Tuscany famous, Rocco Bianchi Campagna rode them with his older sister on their parents' old bikes. Those beautiful evening rides past the vineyards of Tuscany were truly something else. Growing up on the vineyards in Chianti was a great way to live. Rocco was a kind, but sometimes hotheaded, young boy who loved football and cycling. The obvious hero when he was quite young was Bettini - a Tuscan hero. As he got older he continued to play and love football and cycling but the former was a sport and the latter a hobby. However, when his sister got into bike racing, Rocco Campagna followed her, first in mountain biking, where he had great success - the technical and punchy stylings suited the young boy well in the local and regional levels. However whilst Eva Campagna stuck to the mountain biking and loved it, Rocco wanted to take his cycling a step further once he became a teenager. So, on the encouragement of one of the runners of the mountain biking league, he bought a cheap old Colnago and started competing on the tarmac as well as the dirt. He kept up both but he found himself excelling on the road. He won many races on many levels and though he kept up mountain biking (and still does when he can), his true talent (and passion) was for the road. Not necessarily tarmac if Rocco had any say. He loved them Tuscan back roads on his road bike as well. As Rocco got older he found great success on the junior circuit, not always at the front but impressing with attacks and some consistent scoring in both Italian races and in the most prestigious junior events. As part of the Ride to Glory he's done enough to secure a contract for next year... the only question is: where? Type of Rider: Full of panache! So far his spirit of attacking has undermined his chances of top 5 or top 3 success on the hard roads of the junior circuit. Campagna doesn't have too much of a specialty yet but has shown an affinity for one-day races - not to say just classics, he's won stages in stage races a lot but he is better at riding to win in the purest form than to ride for GC in the mountains - where he can also perform well, but on the Elite level it'll be a different matter for everything. The hills, flats, cobbles and even some sprints have also shown to be Rocco's strengths and so, even though he hasn't beaten the big names of the future just yet, he's got a lot of options and could prove a useful domestique or even baroudeur in his neo-pro year. Loves to attack and has a good punch and racing mind. Will attack to the death, but not in the mindless Voeckler style, more in just a never-say die but still tactically ok style Pfft Happy to service teammates and is a loyal teammate on and off the bike. Instinctive racer but also likes to know the course before-hand, particularly in technical classics and stage-races, where he can plan for stages to target or KoMs to chase if he has a free role. Very good technically and with great energy over long days, tough days and multiple days alike. A bit lighter than your average cobbler means Roubaix can be tough on him but the Flemish classics, with their punchy and technical stylings, are his jam. But still could develop into a more bemuscled flat rider, or even more of a Gilbert or even Valverde type of rider - even though he's not going to be as good as them in all likelihood. Oh and hates TTs. Duh. Personality: A kind-hearted guy mostly but, despite being well-meaning, is probably too quick on the draw when he or a friend/teammate is insulted/mistreated, and doesn't pick his fights well at all, which gets him into sticky situations with rivals and, probably at some point, the UCI. Makes him a doggedly loyal teammate and friend. Loves his family above all, and grows to apply that to his team. Hates arrogance but can respect confidence. Also hates dopers. Self-assured but not overconfident. Favourites: Loves Strade Bianche most of all, plus the Giro, San Remo and Lombardia in his home country of course. Absolutely in love with the Flanders classics and basically all of cycling as a big cycling romantic and nerd. As a part of this, he has a lot of respect for the history, not to say he can't appreciate positive changes in globalisation and not-doping. Also means he loves Le Tour even if he has to agree it's got boring recently - the Giro is definitely the best in Rocco's eyes. Doesn't really have a favourite team as their pasts can all be disillusioning - more about the people than the teams for him. Modern heroes are Bettini, Stybar, Gilbert, L. Deignan, De Gendt, Jensie, Voeckler, et al. Has a huge respect for the heroics of older riders, his favourites there would be Fondriest, De Vlaeminck and Henri Van Lerberghe to name a few. Kind of likes Valverde and Contador also in modern times, but would like them more if they weren't goddamn dopers. Chiappucci and Kelly too, of course. The road is his favourite cycling discipline by far but still loves MTB and has dabbled in CX. To Rocco you just can't beat the heroism and romance of road cycling though. Faroese cycling taught him to be a strong all-rounder on many terrains but he's a god (or more precisely the son of one) at long hard efforts in strong wind, really a jack of all trades though with a good kick and skills. He also happens to know that he is the best. Already 3 time Kring Føroyar champion, Flosi was a big fish - scratch that - a huge whale in the small pond that is the Atlantic. But now he will move onto a greater challenge, Europe, will this small 200 ton whale be the biggest fish in the huge pond that is the Mediterranean? Personality: Aggressive on and off the bike, he'll call out anybody who gets on his nerves or just races against him really. He loves to talk to the media, especially about himself but gets easily frustrated if the results aren't coming his way (and will blame his losses on someone/something else). Absolutely hates domestique duties. Loves unpredictability in races, rain, hale, snow, wind, dirt, cobbles as long as it doesn't disadvantage him. If he's not like Sagan, he's better. Trash Talker. Descendant of the first Tour de France winner, Maurice Garin, Bernard takes his name from the French legend Bernard Hinault, as Bernard's father, Jacques Garin, was a huge fan of Hinault. His mother was born in Guadalape so that gives Bernard his "Black" ascestry. Mario was born in Como near to the borders with Switzerland into a sports family. His father was also a professional cyclist and Mario admired him as he was going with him at almost all races. The father gave him his first bike even before he was able to walk. His mother was an amateur volleyball player, so Mario has very good background to become an athlete as his parents. When he was young he was an extrovert person and has a lot of friends, also wherever he has been he was the leading person. As he was going older and older he used to known almost all from cycling thanks to his father and as soon as he could he started to race in local club near to Milan. Right from the first races he was winning almost everything and he was scouted very closely by some bigger Italian teams. Also in the Milan newspapers they called him „The New Paolo Bettini“, because he was well known for his ability to win solo, from smaller group or in the short hills. However, with all this hype around him he started to stagnate in the last few years and can't still live up to the expectations. Now he feels that he is prepared to finally break through and make a name in the pro peloton. Maybe he sometimes doesn't care about the race and what can happen that day. But on the other hand his big pure talent makes him very dangerous contender if he has his day in hilly races. Jens Christiansen is a natural Time Trial rider, he will try to lose some weight and transform into a stage racer, his aim is to get a contract with Astana to join fellow Danes BRESCHEL, FUGLSANG, HANSEN and VALGREN and help Jacob until he one day will get his own chances. Levente born in Romania, in a town called officially Odorheiu Secuiesc (hungarian translation: Székelyudvarhely). This little town was famous about its futsal and handball teams, so Levente started football and handball trainings early from 5 years age. In 2009 hes parents applied for double nationality (hungarian), because of hes ancestors. At the age of 14 he obtained a football scolarship in the near county center, Miercurea Ciuc (Csíkszereda). Living in the another side of the town, Levente rided with a bike to hes school and after that to the training center. Besides the football trainings he joined the local Tusnad Cycling Team. He made an advantage of hes very good body condition and started to podium almost all the races where he entered. Mentored by Novák Károly Eduárd, a fellow hungarian minority paralympic champion, at 16 years age he quitted the football academy to concentrate more in hes growing cycling carreer (already had problems in football because hes height). After graduating he moved to Budapest to be a trainee in the Pannon Cycling Team. After two months he beated uphill all of hes teammates, including the experienced riders like Hollo Botond or Simon Peter. The future is bright, just the perfect contract still to come. Career Goal: Become the 'Pele' of short, hilly tours and one-day classics - Tour of Turkey, Liege-Bastogne-Liege, La Fleche Wallone, etc. Born in Sao Paolo, Brazil on 22 September 1998, in a little shack in the Heliópolis favela, Guilherme Barbosa was always going to be different. 'Gui,' as he became known, was the firstborn son of Roberto, a former amateur boxing champion, and Susanna, a powerhouse of a cleaning lady. He stood out from an early age athletically, excelling on the football pitch despite carrying some extra pounds. Known as the chubby kid early on in school, he lost his baby fat as he was hitting puberty and started to use his powerful legs to fly past his contemporaries on the pitch. He was never a skilful player, but he stood out, nevertheless. Gui became the star prodigy of Andriato's programme, and was given his first bike by the Wilier-Triestina sprinter. He also earned a scholarship to the Brazilian cycling development programme, enabling him to earn a living while attending school, and helping his parents to move out of the favela. His Sagan-esque raw talent allowed him to excel in the short, hilly races around Sao Paulo and the surrounding area, despite the lack of formal training or racing experience. The races were just easy for him. He was later signed to the Funvic/Soul Brasil Pro Cycling development team, and has been cycling across South America in youth races, though he realises that to make a very good living, he'll have to move to Europe and race against the big boys. He's now ready to take his talents abroad, and hopes he'll get his chance with his cycling idol's team, Wilier-Triestina - Selle Italia. Whether his skills are up to par remain to be seen, but his meteoric rise will surely be one to watch. Career Goal: Lead-out a sprinter to victory at Champs Elysess and the World Championships. Born in the capital city of Amsterdam, Levi has never known life away from his country's capital. From an early age, his favourite toy and his favourite activity involved his bike. He would go out on long rides with his friends in the outskirts of his hometown, leaving in the morning and returning after sundown. Growing up, he was very competitive, and was always up for a race whenever anyone mentioned it. The high-speed finishes of sprints or he huge effort of major climbs did not interest him. He felt at home in the pack, leading them through bumps and feeling the wind in his hair. He could ride well in the wind, and never felt the need to 'hide' in the pack. Many a times, in races for his local club, he would be successful in setting a high pace and dropping riders from the back, especially on windy days. He was also often tasked with leading out the team's sprinters, when the team did not have enough support for the latter. He loved the freedom his role gave him, often going away on lone attacks at the start of races, knowing fully well that he might get caught later, but enjoying the suspense and the tiny chance of surviving with relish. He is now ready to take the next step into professional cycling and has already signed a contract with Team Sunweb for the coming season in the RTG. The perfect team player (because HE IS GROOT) finds the perfect team to start off his professional life. #2 Cerravalos on the move to Ireland! Has the cycling dream for Hector César Ernesto Fernández Hernández ended before it even began? Sources close to the rider say that the young Columbian was disappointed by the contracts given to him and rejected all of them. It is currently unknown which teams approached the puncheur from Cali, but apparently none of them were to the liking of Fernándes Hernándes. He of course takes a huge risk by rejecting several teams, it is unknown if any other teams will express interest in him. Others can only dream of being offered a professional contract but FH turns three of them down. How ungrateful, I'm not sure he deserves another chance. Cerravalos on the move to Ireland! ...as the man on the other side of the wire was nobody less than Stephen Moore. The young Irish general manager has been surrounded by positive news over the last few weeks, not only because Aqua Blue Sports managed to achieve one of the 24 places in the new founded World League as only one of 6 former Professional Continental Teams. But also because the team made significant signings to ensure a bright future. Adrien Petit and Dion Smith joined the squad to determine the classics present and future for Aqua Blue. The danish trio of Guldhammer, Quaade and Kamp add some further potential to the team. And the biggest signing of them all was young Norwegian supertalent Kristoffer Halvorsen. The quickest man on a bike in his age was linked to several other teams, some with a lot higher reputation. And now the second coup of the Irish squad within two weeks. With Jhon Santíago García Cerravalos the team took the future in their hands. Of course, for an Irish team that never featured a South American rider this is some new terrain. And you wonder why both sides chose to go this unusual way. Let's break that down. For Aqua Blue this is a high risk high reward pick. You got no other guy with Spanish language as his mother tongue in your squad. You haven't even got a single but of experience with one. Of course, the guy from Ecuador speaks good English, but there could of course be gaps in terms of mentality and attitude. Plus there are questions about how he fits into a team that determines itself about the big watts, power on the flat and fast men. Sure: There are some guys that García could support on the climbs in his first years. But does his skillset really fit the future plans of Aqua Blue? You gotta wonder. Why did they take the risk then? One point has to be the racing calendar. As teams in the World League have a mandatory calendar where they have to cover all races, Aqua Blue could have used some proper climbers for the days where the team can't play out their pure power. Denifl, Warbasse and Nordhaug are decent men, but will never be the scorers there. Beneath Pearson it could indeed be García that should close this roster gap in the distant future, but that would be a long stretch. Another possible cause could be popularity issues. If Aqua Blue wants to expand to the South American market, then this move could make sense. But does it, given the fact that García may not be the most of popular riders in the main cycling country of Latin America: Colombia. He stated his distance to the cycling culture of Colombia between the lines in several interviews. It has to be the key to the story that Aqua Blue just see huge potential in the 19 year old Ecuadorian. Both insiders and sources from Ecuador are talking about great fundamentals the rider offers, especially in terms of riding style and technique. 2nd division team Androni-GM Gianni Savio stated: "If Jhon can bring hard work and determination together, he could become the next big thing. We have him on the radar, but we are yet to see something special from him while racing against men. If he can prove his status there, then offers will come. He's got unlimited potential. The question is, whether he could bring it together." These statements fired up quite some decisions. First of all because Savio was seen after the Volta Kolbi, where he was in talks with both Jhon García and Kevin Rivera that had a great ride out together. Thinking about the fact that Rivera has been linked to Androni sources tell for a couple of months now. Then also because Savio may not be the best of friends with a certain colombian team, as Egan Bernal left his team towards a certain Colombian team. Did Savio loose out on the next south American talent now, or has he just not been convinced enough of what he saw from García? What could actually be one of the most likely solutions for explaining the deal are the BMX boundaries of Garcia. They could have had an impact on the decision in a manner of expansion for the Irish. There have been rumours about Aqua Blue investing in that part of the cycling world. And having a guy that could unite the road and the dirt team would be a handy thing, as he'd be worth twice his money representing the team on different levels. But would he be able to do that in a proper way? Only the future can tell the whole story. And it's yet to reveal whether this really is the two-way contract we suspect. That would also explain why Jhon went to the Irish squad. Though there might be an even simpler solution: It was the only offer from a professional team. We've only heard rumours about Manzana having space left for him, but Jhon emphasized that he did not talk to the Colombian squad at this stage. Other hints towards Movistar, QuickStep and Lotto have been declined straight away. From a cyclist point it doesn't make a lot of sense any other way. Aqua Blue is not known for being the best of talent development teams, at least not in terms of climbers. They have a nice assembly of young guns like Dunbar, Pearson and Halvorsen though that fit into the timetable of García. But it will take time to adapt all the training, environmental and social habits of the Irish. Can Jhon overcome them or will he break trying? Arnout Van Aarle has signed with Bahrain-Merida after Brief negotiations on a one-year deal. The one-year deal was specifically mandated by his agent / father who wanted to keep track of Arnout's choice as a cyclist. At his new team, Arnout hopes to obtain experience in the smaller classics, race a few flat stage races and support the likes of Colbrelli and Van Keirsbulck in an intense season. The young belgian said, he was ultimately convinced by the words of Guillaume van Keirsbulck who was aiming to step up this season and promised some freedom in the one or the other race. Birthday: 22nd May 1998 Team: ??? The hills, flats, cobbles and even some sprints have also shown to be Rocco's strengths and so, even though he hasn't beaten the big names of the future just yet, he's got a lot of options and could prove a useful domestique or even baroudeur in his neo-pro year. Loves to attack and has a good punch and racing mind. 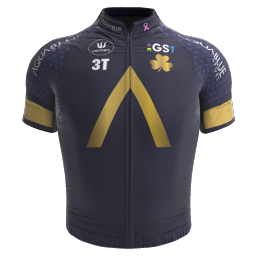 Will attack to the death, but not in the mindless Voeckler style, more in just a never-say die but still tactically ok style Happy to service teammates and is a loyal teammate on and off the bike. "Foppa" is very happy to sign his first pro-contract and looking forward very much to meet his new teammates. He hopes he will learn a lot from both Bouhanni when it comes to sprinting and also take some tips form Vanmarcke on cobblesections. Brad Nettle has decided to pass on a 2 year offer with Israel Cycling Academy and instead pen a 1-year deal with Trek-Segafredo. This deal will allow him to remain stationed in the USA for the time being. Nettle hopes to better himself by cycling with stronger competition and having more experienced riders to look up to and learn from. Hillestad is confirmed as the latest signing of the Aqua Blue Sport cycling team. The youngster was a frequent participant of the Lars Petter Nordhaug camps over the last several years. And being a national standout, the road to the Irish team where Nordhaug is a team leader short. Hillestad will be a great addition for the team. He is considered to be one of the biggest talents in the cycling world. Exciting times ahead! After some negotiations, the young Italian as decided to link up with NIPPO - Vini Fantini. His desire to ride alongside an Italian contingent riding was a big factor, and he had stated that it was his little dream to join the second-tier squad. He will have the chance to learn how to race properly in the mountains with some assistance of Julian Arredondo, former Giro stage and mountain jersey winner who knows exactly how to target the race, and another Italian young hope Giulio Ciccone, who is rated as one of Italy's future star climbers. The Italian media was quite interested in this sign, Gazzetta dello Sport have dedicated half a page today to talk about his roots and what he targets in this debuting year in the pro peloton. His speech was quite precise around one theme. And quoting Mattia, "This year I will be looking on how to properly race. Positioning in the peloton, learning to trust my teammates, and know how to manage stage-racing will be the main goal". Surely he'll intend to work on the foundations of cycling in his first season, and in the next he'll try to work on some results, as his current contract runs until the end of 2018.